I hope this open letter is encouraging to today's young women. My wish is that the next generation of women fully realize their potential, and never settle. Never settle for less than what you want in a career. The biggest disservice you can do is to limit yourself or listen to those who tell you your dreams are not practical. Such people may direct you towards a career thought of as a 'typical' female career, e.g., a teacher, a nurse, etc. However, as the late Steve Jobs stated, "Your work is going to fill a large part of your life, and the only way to be truly satisfied is to do what you believe is great work. And the only way to do great work is to love what you do. If you haven't found it yet, keep looking. Don't settle." Another inspirational Steve Jobs quote is, " Your time is limited, so don't waste it living someone else's life. 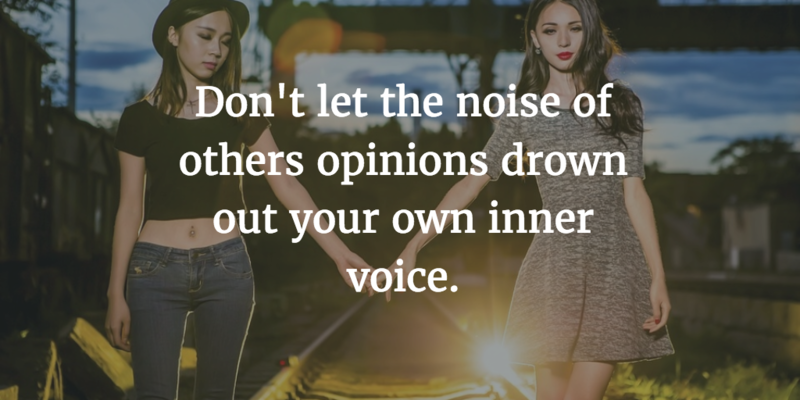 Don't let the noise of others opinions drown out your own inner voice." Young women listen to your inner voice, pursue a career in a field you are passionate about. Whether you're interested in medicine, music, business, the arts, technology, aviation, etc., go for it; don't allow anything to hold you back. One of the worst feelings is the feeling that you're getting older and you didn't follow your heart. Some people may have good intentions when they advise you to choose a practical career. Other people may discourage your dreams out of personal insecurity. Another point to keep in mind when deciding which career best suits you and your talents is the fact that today's job market has changed. People no longer come out of college and land a position with a company that they'll stay with until retirement. If you have a career you love, you can weather the storm of uncertainty, if and, when it comes. So tap into what you are passionate about and research careers that you can pursue. All the best to the next generation of young women.